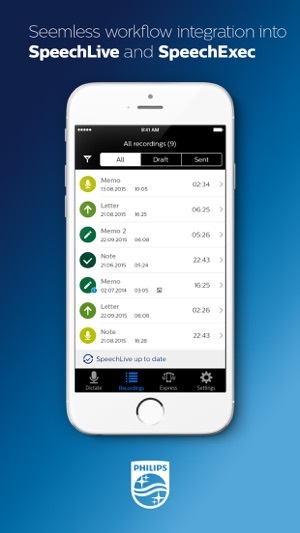 The Philips voice recorder app offers first-class recording quality, professional functions such as inserting or cutting sequences, and an intuitive operation. For maximum security, browser-based file management and additional services such as speech recognition, we recommend the use of our convenient Philips SpeechLive service. Do you have special requirements for your dictation workflow? 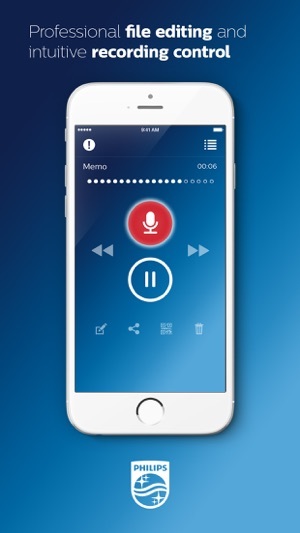 The Philips dictation app can be seamlessly integrated into your existing workflow. 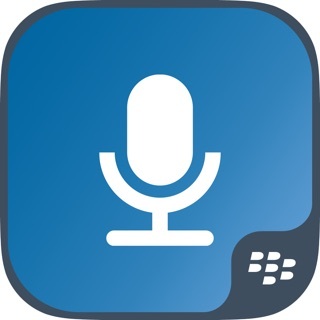 This is an excellent app, that I have adopted using in lieu of a digital recorder. 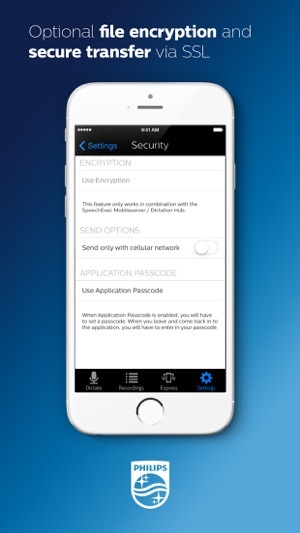 Now, rather than recording into a separate device, plugging in my computer, then transferring files via USB, I am able to avoid caring the extra device, and just simply use my iPhone. Dictation is rapid without the need of interruptions via Siri. As soon as I am finished, I can select one of three options according to how I want the dictation handled. Phillips provides it's on live transcription service at a reasonable price, or I can email the file to my own transcriptionist. Finally, I can select speech recognition, and within moments have and accurately transcribe the text file of what I just dictated, also an extremely reasonable fee. 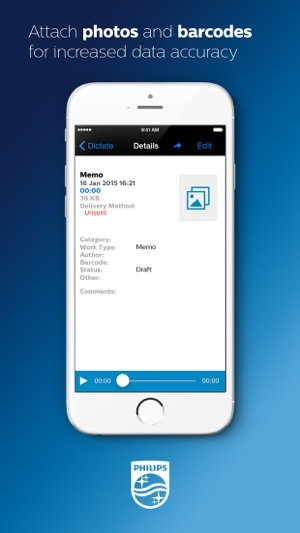 This app has allowed me to develop a workflow in which I am able to rapidly and efficiently capture audio notes throughout the day, dictate correspondence or guidance for subordinates, and keep moving. I wonder if integration with a walkie-talkie like function, such as a Voxer, would add a nice integrated function and enable one stop communications of all types from one app to my workflow. Being a struggling singer I need to do lots of recording which is why i tried this app Philip voice recording.. and surprisingly this app tirned out to be the best voice recording app i have ever used in my life so far .. it is very clear and very easy to use. Very happy with this app ..
One of the most useful apps available for students. Philips voice recorder has saved me so much time and boosted my note taking skills. Recordings are clear and it doesn’t kill your battery.